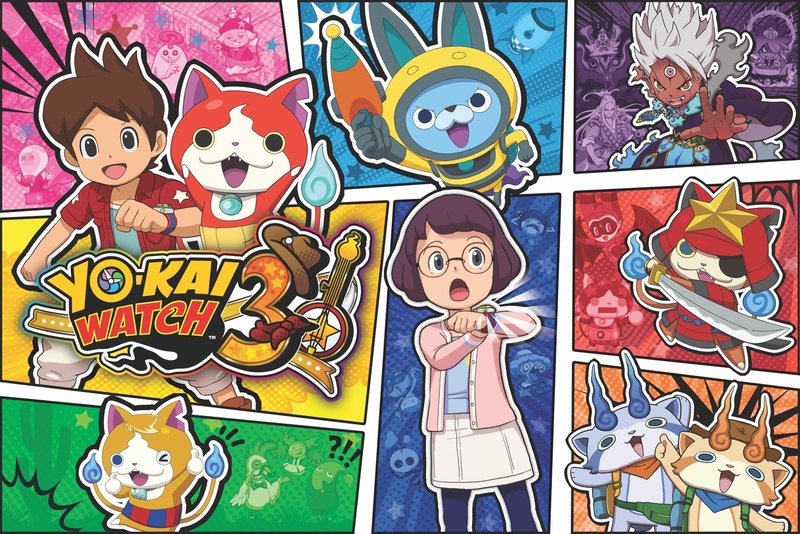 Although Yo-Kai Watch 3 has been available in Europe since Dec. 7, 2018, it is now arriving in North America in just a couple days! Before launch, learn about the characters, story, and more about the game with this short guide! When his dad’s job relocates the family to a new town, Nate waves goodbye to Springdale and many of his Yo-kai mates. Not to worry, though – his old pals Jibanyan and Whisper are making the move to St. Peanutsburg, too! Just as Nate’s settling in to his new life, he’s pulled into a whirlwind adventure when shady agents Blunder and Folly come knocking with questions about a UFO that’s crash-landed on the outskirts of town. Equipped with a state-of-the-art Yo-kai Watch Model U and with plenty of new Yo-kai to befriend, it’s up to Nate, Jibanyan and Whisper to discover what’s behind this cosmic conundrum! Back in Springdale, Hailey Anne, a sci-fi fanatic and budding detective, discovers a Yo-kai Watch Model U2 during a trip to her local toy shop. After putting on the watch, Hailey Anne meets Usapyon, a Yo-kai on the hunt for a rocket scientist. A fan of all things cosmic, Hailey Anne eagerly joins forces with the pint-sized moon rabbit, and the pair decide to set up their own detective agency to help out the people of Springdale! Help Hailey Anne and Usapyon build up the Ha-pyon Detective Agency! Clients will visit the agency and it’s your job to help solve their problems, by collecting certain items or defeating specific Yo-kai. Widen your investigations by visiting the nearby towns of Harrisville and San Fantastico, or help out Yo-kai in need by completing favours posted on KaiNet.